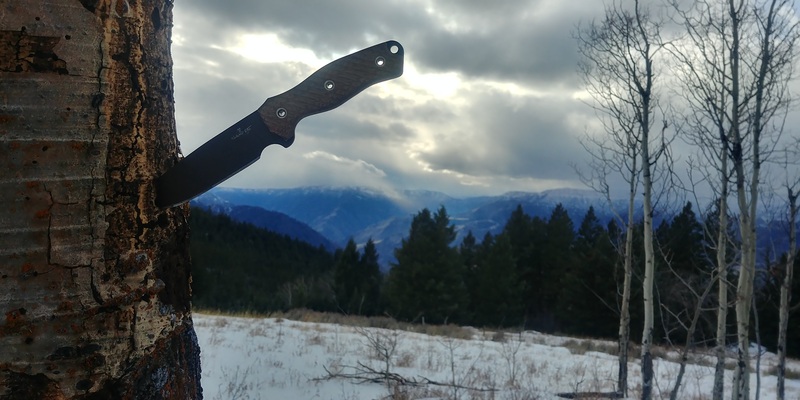 i ordered my first rat yesterday a rmd with brown blade and tan handle. Can’t wait!!! I am usually a folder guy have had a bunch of sebenzas etc but lately into spyderco for all of their steel choices. I plan on using it as a general camp knife/food prep if it will do all of them. From what I read the sr101 steel is based off 52100 which I love, now what is the recommended care you all use for keeping rust etc at bay? Any other general advice for its care? What’s the current turn around time? azwelke, Uncle Timbo and Hard Knocks like this. I just received one 2 weeks ago and I think the turn around was 3-4 weeks on mine. The coating seems very good so just a little oil on the exposed parts. I have a generic spray bottle with some food grade mineral oil and it's lasted a long time for all of my carbon steel blades including several GEC's that I EDC and oil at least weekly while in use but every time after cleaning them. A single spritz into paper towel or tissue is usually enough to coat a blade. Welcome to swamp. The RMD is an amazing all-purpose from what I've done with it so far. I've been comparing to my ratweiler, buck 119, and mora classic simply as a way to see what it does well compared to things I have. It's very much a master-of-nothing but decent at most things kind of knife. As a camp knife I think it's an amazing value if you start comparing it to things like esee and falkinaven. I would recommend getting a sheath in advance because you're going to want to use it right away and the tactical cardboard sheath doesn't transport the greatest on a belt but it does okay in a back pocket. This is a JRE model N sheath, for reference. There are some good guys on here making some stock belt sheaths and kydex as well but I wanted a dangler and am pretty pleased with this off-the-shelf option. I love those muddy & tan combos. A little swipe of mineral oil on the exposed edge will do the trick, like bikerector said. Welcome to the forum. That was fast i ordered one on 9/6 and still haven't got dinged. Man the wait is killing me. The wait can be rough but it’s well worth it Ratmandu is a great knife !! Kinda like the old days when you'd have to wait on your income tax return. But you might not remember that? Malpaso and Twinsdad like this. and never once did I wish I could "choke up on my blade"
I certainly don't need a(nother) Ratmandu; but the addition of green and maroon micarta to the handle options brings back that familiar WANT. Can anybody tell me how the maroon micarta looks? I got it on one knife (S.O.S. ), and it was not even close to maroon... more of an ugly brown; but I've seen pictures that looked a lot better. Here’s some with maroon handles. Personally I’ve had better luck with the maroon vs green. Some of my green came a little dry(?) some like a dirty green color.